Packaging artwork, colors & types may vary. Custom Collections! Mix and Match any EG#. Buy just what you want, when you want it - contact us for prices/formats. Note: E-books are not searchable, unless noted. At this time, all Gregath E-books on CD are not licenses (or licensed) to be loaded into E-Readers or installed on computer systems. No Copyright release is given or implied through electronic editions. 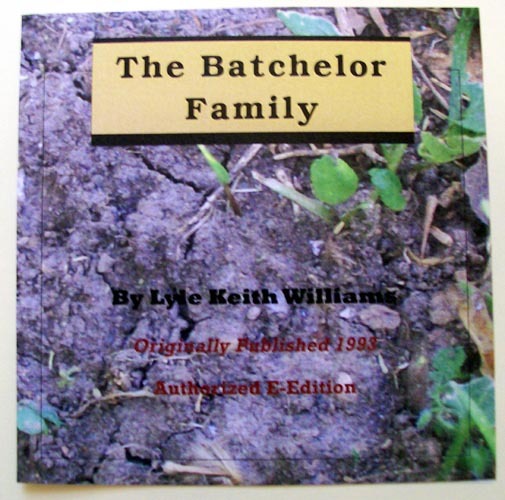 BATCHELOR - The Batchelor Family Bachelor in Virginia... CD-PDF*, searchable with newer acrobat versions. EG079-$50.00 | Also available in print. BIDDLE - Samuel Biddle Family History and Descendants, by William Curtis Stoner, Jr. and Girtha Lee Boydston Stoner, CD-PDF*. ER048-$70.00 | Also available in print. BURGESS - The Burgess Family, Vol. 1, by Harl Donald Burgess & Dr. Elbert Felton Johnston, 1981. CD-PDF*, indexed. ER080-$25.00 | Also available in print. BURSON - The Bursons Who Came South, by Montez DeMonia Jones, 1995 (revised). 8½x11", CD-PDF*, indexed. ER090-$25.00 | Also available in print. COCHRANE - The Cochrane and Ripley Families, by Ann Cochrane Gregath & Fredrea Gregath Cook, 1993, 2013, CD-PDF, indexed. | New edition to be available in print. 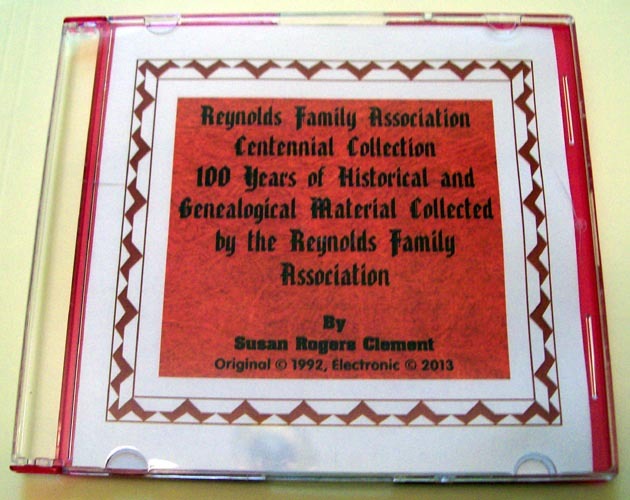 Crowder Family Collection, by Fredrea Gregath Cook, CD-PDF. | Also available in print. 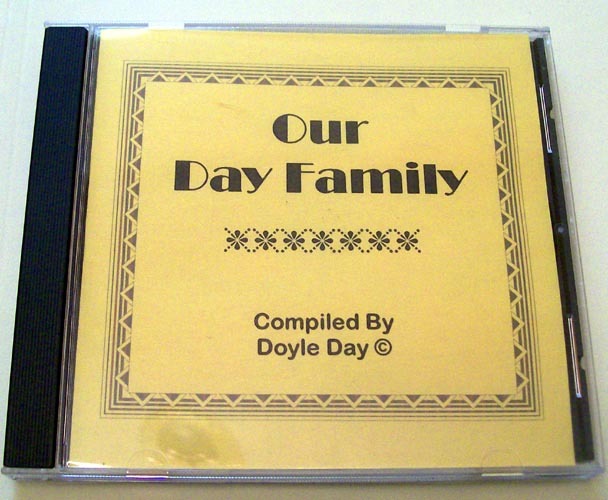 DAY - Our Day Family 1597-1990, by Doyle Day. CD-PDF*, 356 pages. ER135-$35.00 | Also available in print. 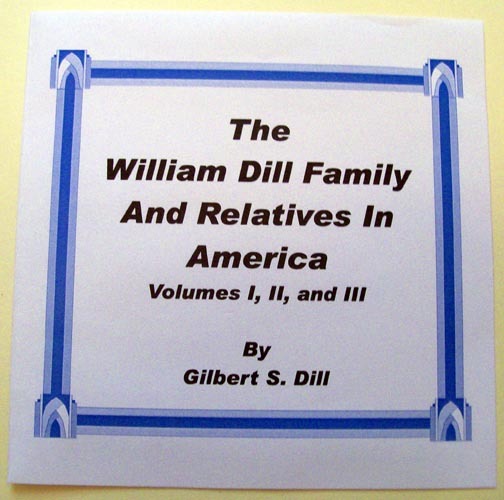 DILL - The William Dill Family and Relatives in America, by Gilbert S. Dill, 1999 | Further Information, CD-PDF. | Complete printed set also available. History of the Ditto Families, 1700-2000, by Col. Robert Shean Riley (Ret. ), 2011. 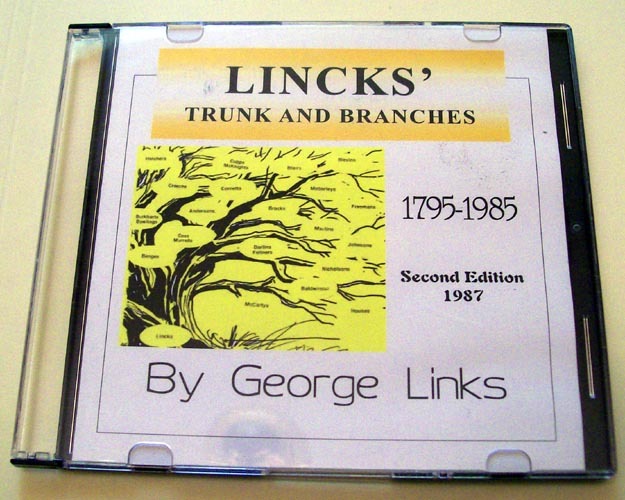 688 pages, 8.5x11", CD-PDF*. In this book, both standard text and chart text all runs across the page - rather than landscape and portrait, as in the printed books. ER3808-$80.00 | Also available in print. DUSKY And Allied Families - The Families of Dusky, Finney, Gallimore, Gladfelder, Green, Hill, Lanning, London, McQuown, Neufang-Knifong, Reed, Wasley-Wesley and Whitaker, by Ann Cochrane Gregath, 1991, CD-PDF*. | Click here for more about the book. 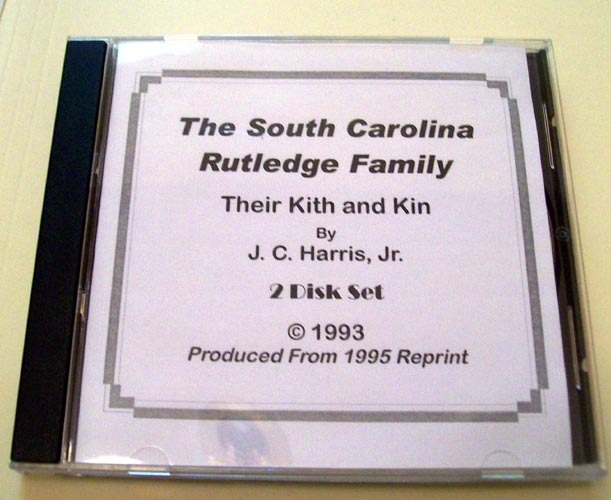 RUTLEDGE - The South Carolina Rutledge Family, Their Kith and Kin, by J. C. Harris, Jr., 2 CD set (PDF*): disk 1 contains all front matter and main text, disk 2 contains index & all addenda material, 658 pages, indexed, includes photos, documents, charts, coat of arms and newspaper accounts. ER440-$65.00 Also available in print.